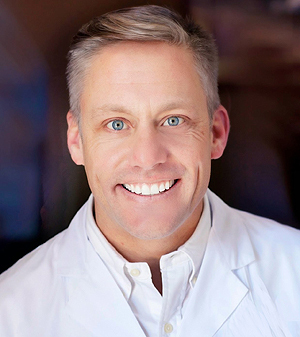 Dr. Schwartz loves the personal relationships he is able to develop through dentistry. Day to day he enjoys working with and caring for other people. He is also attracted to the artistic nature of dentistry. There is nothing better for Dr. Schwartz than seeing the joy in patients' faces when he is able to give them the confident, healthy smile they deserve! When Dr. Schwartz is not seeing patients he enjoys a multitude of other activities. Besides spending time with his wife he is most passionate about downhill skiing and golfing. He also enjoys playing hockey, riding motorcycles, playing tennis, mountain biking, hiking, and water skiing. He also loves great food of all types and enjoys checking out what’s new with the restaurant scene in the Twin Cities area. Spending time relaxing with family and friends are a priority for Dr. Schwartz and his lovely wife, Amanda. They reside in beautiful Orono, MN with their two dogs, Gili (black Lab) and Oliver (Cavalier King Charles Spaniel). If you weren’t a dentist, what would you be? Dr. Schwartz has often felt that he was born to be a dentist. He knew from a very young age that he wanted to pursue a career in dentistry. Dr. Schwartz’s father and three uncles were dentists. His mother and aunt were dental hygienists and his brother is now an extremely talented dental laboratory technician. Dr. Schwartz feels blessed to be a part of a profession were he can express himself and help so many people along the way.